Had dreams of bottomless powder? Time for you to wake up in Canada. Endless terrain and some of the world’s deepest powder makes Canada a winter playground for skiers and snowboarders. Why else would it be one of the most popular snow destinations in the world? Canadian resorts have a lot to offer that European mountains don’t, including two to three times the snowfall. For the thrill seekers, you’ll be pointing your tips vertical in some of the steepest mountains on the globe and jacking the heart rate on endless tree runs, glaciers, and chutes. Snow hounds will be bouncing over fresh champagne powder, and any beginner will be right at home under the wing of North America’s finest ski schools. The best thing about booking with us is that we are unbiased. We don’t have exclusive contracts with selected resorts, operators or skiing providers in Canada, but rather have them all to make sure you get exactly the holiday you are dreaming of. No compromises, no sad faces - as we offer the widest collection of alternatives for skiing in Canada. At LUEX, you get to talk to real people with real input! All of our sales agents are experienced skiers and riders, and understand what it’s like to book your first (or second or third) trip to the snow. No scripted messages, no robot typing – just real-time assistance and a human touch. Want to take the most out of your snow trip to Canada next season? Find the right group of people, think about what you really need and book early! 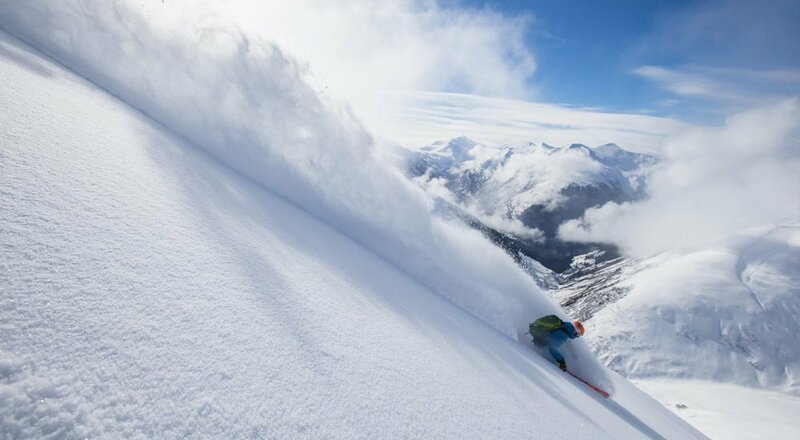 "... if you’re not feeling comfortable with extremely steep terrain and cliffs, there are still plenty of deep powder playgrounds around. The cool thing is that the guides will choose the route suitable to your abilities. Additionally, with the guides you will progress your skiing a lot, maximizing the fun factor." "I’m a 38 years old freerider with significant experience. I have been to 6 heli-ski trips so far in places like Alaska, Switzerland and Caucasus. I must admit, I was very impressed by what Bella Coola has to offer. The terrain is diversified and demanding. Fresh, waist or chest deep powder is abundant. The snow quality is really amazing…"
"It’s a little less intense with a snowcat. It takes longer to get the group to the top, but that’s the time when I can get some rest, chat with the others about the lines we just skied or eat a sandwich. And believe me, you’ll still get to ski from morning til late afternoon and come back to the lodge tired and satisfied. Talking about the lodge, it’s a modern and cozy house with sauna that offers very good food and great atmosphere. I’ll be back next year." 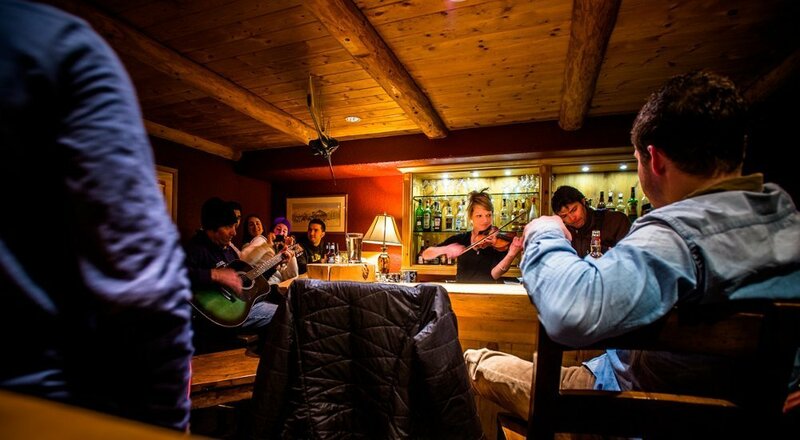 "Our family spent a great week at Bighorn Heli Lodge. The place is really luxury and every member of our family found something to do. From youngest to oldest. Of course we went heliskiing. It was amazing. That was an experience we’ll never forget…Food was great, staff helpful and and all services were on the appropriate level." "Of all my travels around the world, this was one of the best times on my life. Every day I spent there was pure perfection. The lodge, the staff, the guides, snow , helis,..everything was perfect. Thanks to everyone of Eagle Pass Heliskiing team for putting so much effort on making our holidays so special." Wide-open spaces, reliable conditions, first-class accommodation, and of course some of the deepest steepest powder on the globe, are just a few of the reasons every skier and snowboarder dreams of going to Canada. 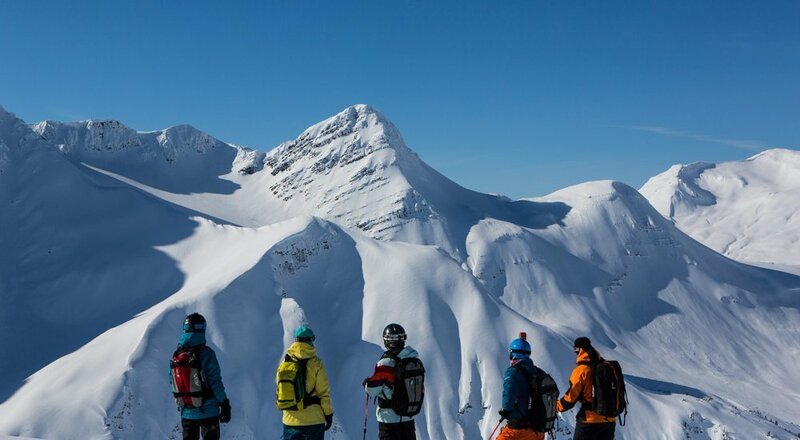 The resorts and backcountry ski trip operators of Canada are known for providing cutting-edge service using some of the most advanced technology and machinery in the world. The first-class treatment in Canada means you won’t be waiting in long lift lines or staying at crowded lodges. Operators in Canada are known for having all the amenities of the world’s leading resorts to minimize the crowd factor and maximize your experience. No matter where you go, you can expect epic snow in Canada. Most regions in Canada are known for having massive annual snowfalls, sometimes receiving two or three times as much snowfall as in the Alps. With these consistent conditions and varied terrain, including steep chutes, wide-open glacier skiing, and tree skiing, you can see why Canada is the perfect place for every type of skier and rider. 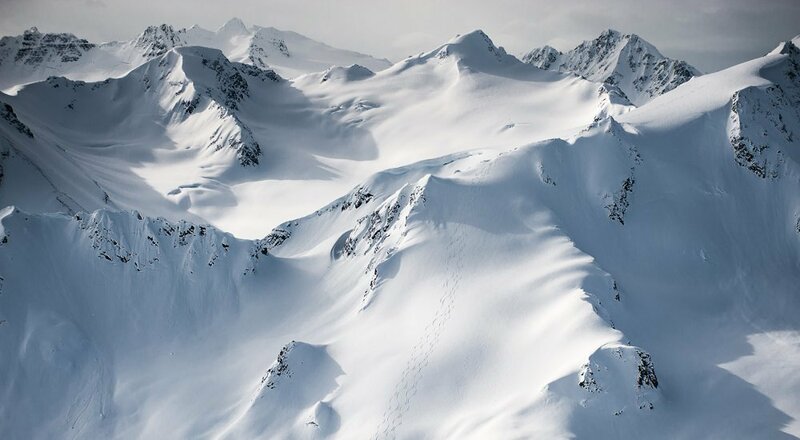 If that’s not enough to excite you, imagine getting out of bounds via snowcat or helicopter, and freeskiing on some of the longest uninterrupted trails in the world. In the end, you’ll need to get there yourself to understand why skiing in Canada is an out-of-this-world experience. 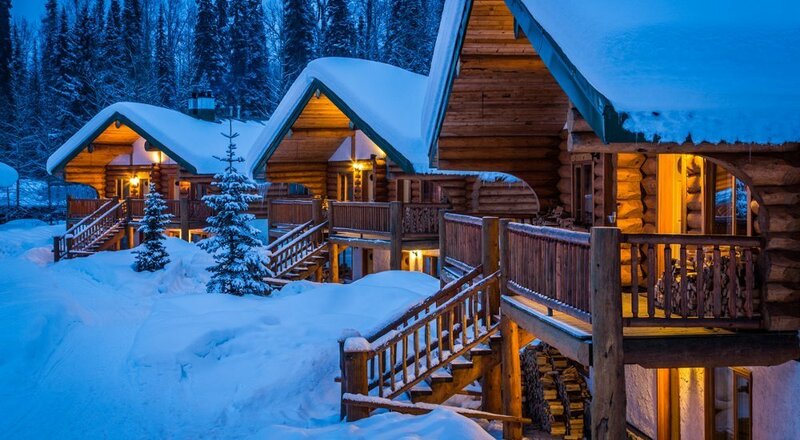 Our snow trips in Canada include a huge range of accommodation types to suit your budget. From budget hostels to luxury hotels and lodges, we have something to suit you. Canada is as versatile as its mountain ranges, with epic entertainment on offer for your after-ski enjoyment or secluded lodges, spas and saunas to help you reset. Canada funnels in skiers and riders from across the globe, so our packages include travel options to and from major cities and airports. Having choice is a luxury that every traveler deserves, and that’s exactly what you’ll get when booking your Canadian adventure with LUEX. Canadians are some of the world’s most hospitable and fun-loving people in the world. Whether jumping on a chairlift or ordering up a storm on your après ski session, you’ll find incredible service across every Canadian resort. You might go for the snow, but you’ll leave with a love for the locals. Reliability. It’s what every powder hunter wants when booking a winter getaway. So much is dependent on conditions, so it’s no surprise Canada leads the way as a global ski destination with its incredibly reliable snowfall. Poor conditions are rare and powder days are commonplace in Canada. The Great White North usually gets about three times as much snowfall as Europe, which makes it a European snow lover’s dream.